NEW: CNN meteorologist: "This is not over by any means"
Are you feeling the cold snap? Send your photos and footage to CNN iReport. (CNN) -- Even though we're still a couple of weeks from Black Friday, there seems to be a preseason special on snow and cold. From the Rockies to the heartland, ferocious winds are ripping across the Plains, bringing freezing temperatures as far south as Oklahoma and the Texas Panhandle. "Round two gets colder. This is not over by any means," CNN meteorologist Chad Myers said Tuesday. "The next 10 days over the entire eastern half of the country will be below normal." Hardly anyone in the eastern two-thirds of the nation will be spared by the time the weekend hits. Here's how everyone is faring against the elements. The people of Minnesota are hardy folks, tempered by years of long brutal winters. Still, they don't normally get it so soon. "This is the first snow I've seen this season, and it's a major snowstorm, rather than the usual light dusting you'd expect to start off the winter with," said Katie Robinson of St. Paul. She woke up Monday to find snow on the ground. "I think that's the biggest thing -- that we went from a very warm and mild fall to now being thrust so abruptly into winter." Many stayed inside but some ventured outdoors -- and got into accidents, the Minneapolis Star Tribune reported. The heavier snow fell to the north. St. Augusta, Minnesota, about 70 miles northwest of Minneapolis, reported a whopping 16.5 inches Monday, according to the National Weather Service. Snowfall of 10 inches and above was common across the state's northern tier and it created a mess. The snow dusted up travelers in the Twin Cities. Minnesota State Patrol spokesman Lt. Eric Roeske said troopers responded to 475 crashes across the region from 5 a.m. to 7 p.m. Monday, 45 with injuries and one fatal. He reported 702 spinouts and incidents of vehicles running off the road. Even with the inconveniences, people in the North know how to deal with snow. Dare we say it makes them a bit giddy? "This has been the buzz this weekend," Greg Graves, an employee at Mel's Trading Post in Rhinelander told CNN affiliate WJFW. "Most of our customers love to be outdoors, so everyone is really looking forward to it," he said. In Eau Claire, Jason Stuttgen told CNN affiliate WQOW the snow's coming at the perfect time. "Especially two weeks before gun hunting (season), that's always going to help the deer move," he told the station. Temperatures plummeted as bitterly cold winds rushed down the front range of the Rocky Mountains. In Billings, Montana, temperatures over the weekend were in the 50s, but Wednesday will bring overnight lows below zero and daytime highs in the single digits. With overnight temperatures plunging close to record lows for the date, downtown Billings, the heart of Montana's largest city, was very empty. Those who did venture out in the cold said they were ready. "We just watched the alerts, and when they say it's going to be cold, we just bundle up," resident Tessa Rogers said. Chia Wei Lo said he was taking the plunging temperatures in stride. "When I just moved to Montana," he said, "my friend told me, if you don't like the weather wait 10 minutes." The snow is pretty much done for now, but snowfall amounts of 5 to 14 inches were common across the western half of the state. The northern Mountain States, the Plains and the Midwest are not the only targets. Much of the nation will shiver under the cold air. "I think we're all going to be feeling the bite," CNN meteorologist Indra Petersons said. The cold snap will bring lows in the teens and single digits into Iowa, Kansas and Colorado this week but also spread freezing temperatures as far south as Texas. A hard freeze warning extends to just north of the Dallas-Fort Worth area. "Much of the nation east of the Rockies is expected to see a major pattern change by the beginning of the work week," the weather service said. The frosty blast will move across the rest of the United States, but it will not be as harsh as in the Midwest. Atlanta and Birmingham, Alabama, are expecting daytime high temperatures in the mid-40s on Friday, according to the National Weather Service. A normal high this time of year is 64. Residents in the northern United States can thank Super Typhoon Nuri for this mess. It is the strongest post-tropical cyclone on record in the North Pacific, the NWS said. Its remnants are haunting us now, less than two weeks after Halloween. The storm system plowed into all that arctic cold air in Alaska and northern Canada, forcing it south. Things will get warmer over the weekend, but it won't stay that way, forecasters say. 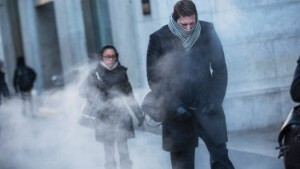 Another arctic blast is on the way for next week. To understand how human nature sometimes doesn't heed winter weather warnings, listen to how Deanna Hunt didn't listen. A foot of snow may look big and bad, but it's a bunch of fluff compared to a solid inch of ice. Residents who have been stranded on icy interstates and at strangers' homes during a winter storm share their stories. Snow can be a delight -- but only when you're admiring it standing next to your cozy living room fireplace. Why not put power lines underground? The majestic trees that line streets across the American South are a beautiful sight most of the year. As winter storms continue to pound the United States, customers inevitably ask why doesn't somebody do something about this? Patience and common sense will serve you well. Power outages can pose safety challenges for medication and food. 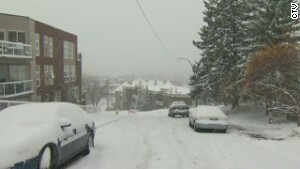 Schools are proposing a new virtual solution to snow days. The horror stories have been stacking up all winter: Students trapped inside school buses, or nestling in for a surprise slumber party in the school gym. The dire warnings have been heeded. The pantries stocked. The cars parked. 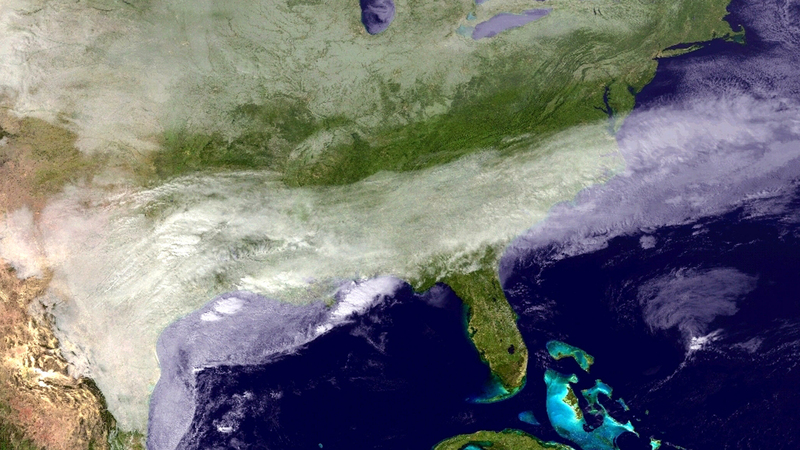 Mobile devices have changed how we handle severe weather. Ever wonder about the tiny flakes that make up a blanket of snow?